Rwandan Genocide Finds Release In Photos : The Picture Show A new online archive of videos, photos and documents telling the story of the Rwandan genocide launches Monday. Materials previously available only at physical archives in Rwanda will now be open to the world. Ethnic strife can touch off unimaginable horrors. Rwanda is proof of that. A wave of genocidal murder there in 1994 left more than a million dead. Eight hundred thousand people were slaughtered in just 100 days. 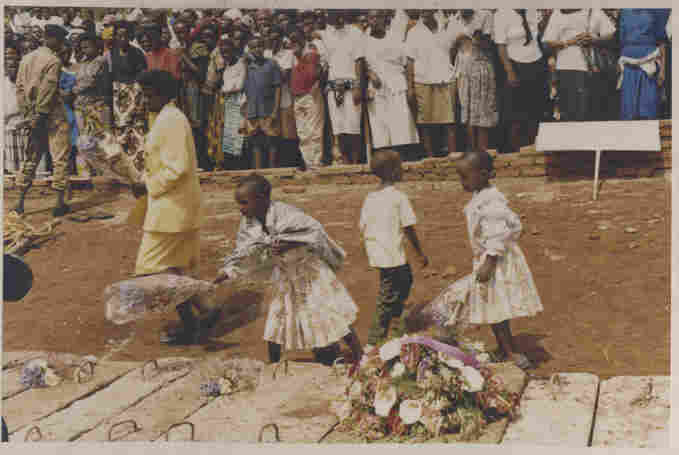 The tragedy is documented in archives that are now open to the public and newly available online at the Genocide Archive Rwanda. Visitors to the site can find photographs of victims and transcripts and translations of radio programs that helped stoke the violence. T-Kay Sangwand is a human rights archivist for the University of Texas Library's Human Rights Documentation Initiative. She and her colleagues worked with Rwandan memorial groups and a variety of foundations to help create the archives. 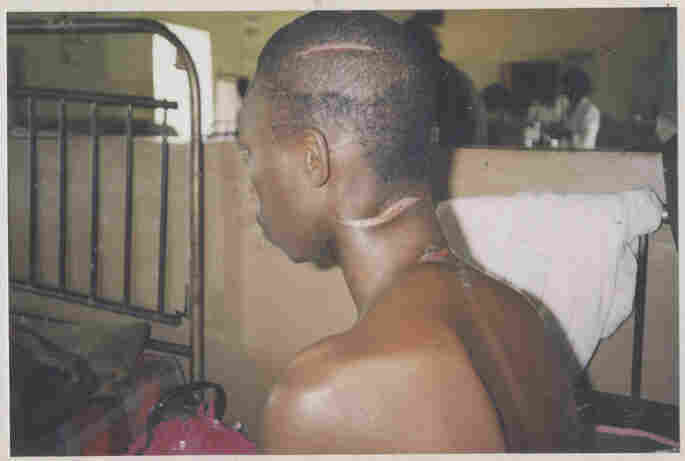 The Genocide Archive of Rwanda is a collaboration between Sangwand's archive at UT and the Kigali Genocide Memorial, Aegis Trust and Rwanda's National Commission for the Fight Against Genocide. Sangwand says she has been most moved by the hundreds of video testimonials in the archives from survivors of the genocide. "A lot of them are from young survivors who are talking about being children during the genocide, seeing their parents being killed in front of them, having to hide, and what survival was like at that time," she says. Sangwand says the testimonials are not just stories of trauma, but also of survival. "Rwandans are not interested in being portrayed solely as victims of the genocide, but this project really highlights people's strength and resilience and will to survive," Sangwand says. "And this is a unique opportunity to actually hear from the people in Rwanda."